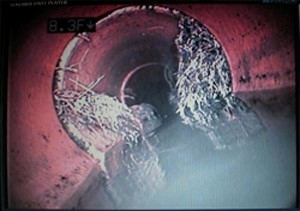 Nothing can cause more damage to your plumbing system than tree root infiltration in Austin. It can be a homeowners, and a plumbers, worse nightmare. The good news is that you have at least found the right experts to rely on for this type of service work. Here at Moore & More Plumbing, we have been taking care of tasks like this since we first started in 1986. As a family owned and operated company, we have been through all of the same plumbing emergencies that you have. So we understand firsthand how frustrating this can be. This is why locals prefer us – you get kind and compassionate customer care as well as expert workmanship. Don't take a gamble when it comes to the level of quality work that goes into your plumbing system work. Call on our Austin plumbers in order to get the job done. Trees are a wonderful benefit to have around your home. They add depth to a landscaping plan and provide natural shade for your home. Yet growing roots can pose a threat to sidewalks, the foundation of your home and even plumbing. One of the biggest problems with tree root infiltration is that you may not even know it is happening. This is why it is important to be able to work with reputable industry experts who can use video and other techniques to find out more about what is going on, underground. This unwanted infiltration is one of the leading causes of clogged drains and homeowners often try to rectify the situation on their own by duping harsh chemical cleaners down the drain. If you have an older home it could be that you still have sewer lines made of clay or other less durable materials. They are easier targets for tree root infiltration. Be an alert and astute homeowner; take note if multiple fixtures are backing up. Or if your toilet won't flush and backs up or bubbles. If you even suspect that you may be in need of plumbing services in Austin like this, the time to act is now. This could save you money on pipe repairs and even prevent the need for major pipe replacement or pipe relining services. 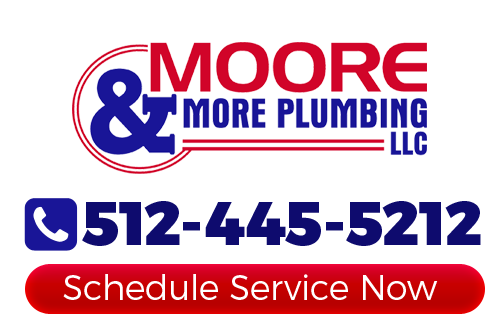 Moore & More Plumbing can help you get through this and provide you with expert level service. We use an noninvasive an approach as possible. This means that you shouldn't have to sacrifice your landscaping in order to have your plumbing worked on. Don't let tree root infiltration cause more damage than it needs to. The sooner you give us a call, the sooner we can remedy your situation. If you need solutions for tree root infiltration in Austin or the surrounding areas, please call 512-445-5212 or complete our online request form.